You're Here: Home / Blog / Digital Signage / High-brightness digital signage: Should you bother with a high-bright screen? High-brightness digital signage: Should you bother with a high-bright screen? Digital signage patrons tend to be suspicious of high-bright screens, yourself included, possibly. High-bright screens carry a similar stigma to high-definition TVs. Is there really a difference in what can be seen on the screen? Watching your favourite TV programme on the standard channel, you decide to switch to the HD channel, but you’re unconvinced that much has changed. Or you watch the same film on blu-ray and DVD, asking yourself ‘was the quality different?’ The picture still looks the same, to the naked eye, and you begin questioning your own eyesight. Sound familiar? It’s a similar scenario for high-brightness digital signage, with patrons questioning the validity of claims made by digital signage vendors about the capabilities of high-bright screens. Alarm bells begin to ring when a digital signage vendor lays it on thick about how awesome their high-brightness screen is. Does it come across that the hard sell on high-brightness digital signage is just another ploy to get patrons to spend more money by bamboozling them with jargon? All the talk of candelas and nits sounds impressive, but you’re unsure of what any of it means so how do you know if high-brightness digital signage is what you need for your business? Where do you begin? Clear as mud, right? For the layperson, simply knowing that ‘nit’ is a term used in lighting and they’re used to measure the brightness of screens, is enough. What you want to know is if they’re actually worth bothering with, right? We’d say definitely if you’re embarking on a digital signage project that involves installing a system in a location constantly exposed to sunlight. What’s the benefit of high-brightness digital signage? Referencing world-renowned screen manufacturer, Samsung, high-brightness digital signage can output up to three times as much light as a standard digital sign. Why is this good? You’ve probably experienced that moment when the sun comes blazing through the window at home while you’re watching the TV, yes? All you can see is your own reflection and not what’s on the screen, right? That’s because the amount of light hitting the screen exceeds the brightness of the screen itself. The brightness emitted by the TV is not equal to the light hitting the screen. What you have is two competing sources of light resulting in screen glare and reflections. No matter how much you crank up the brightness bar on your TV, you still can’t see the screen. A similar scenario occurs with digital signage displays exposed to sunlight. Standard LCD screens are not fit for continuous exposure to sunlight. Therefore, to onlookers, whatever is being displayed is obscured and what they’re left with is a glorified mirror. To see what’s on the screen, a viewer has to get up close, and even then the screen is difficult to see. Switching standard screens for high-brightness screens is a game-changer in terms of maintaining visibility in bright locations. 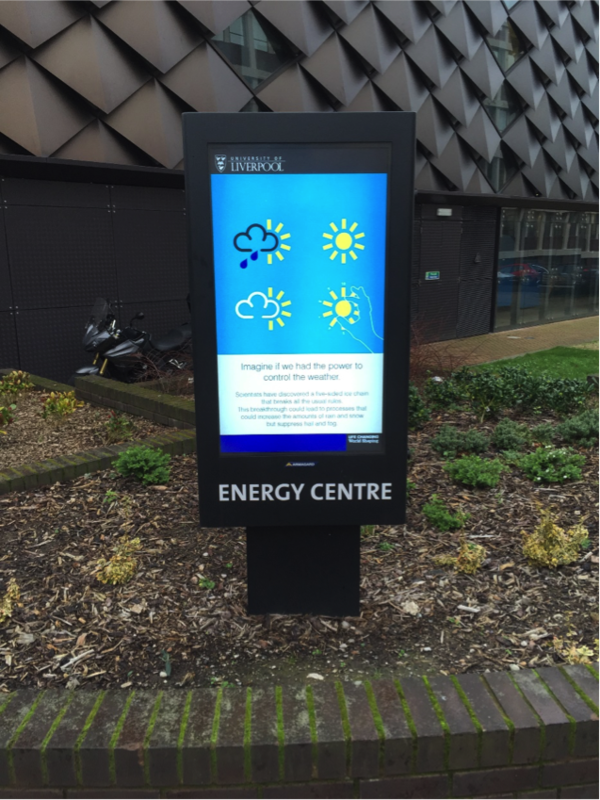 If you know that your digital signage display is going to be spending much of the day in the sun, giving your viewers the best screen visibility surely must be your priority. An Armagard, high-brightness digital signage display in the sunshine in Boston, USA.The sky is clear, so is screen visibility. Ultimately, you have to look past whether a high-brightness digital signage display will benefit you. The real question is, will it benefit your customers? The answer’s yes, because it enhances the visibility of what you’re putting out there. Crisp, clear screen visibility even at the height of noon is just one of the advantages of high-bright LCD screens. Keeping you in the limelight, not in the dark. If a potential customer has to get up close to your display to read it, unless they have a real motivation to do so, they’ll walk on by. However, if you hook their attention early, you stand a better chance of drawing them in. Fundamentally, the benefit of high-brightness digital signage is that it benefits your customer. You’re enhancing their experience of digital signage, you remain visible to them and long-term, providing a digital signage experience that’s reliable, consistent and always visible, will boost your reputation. 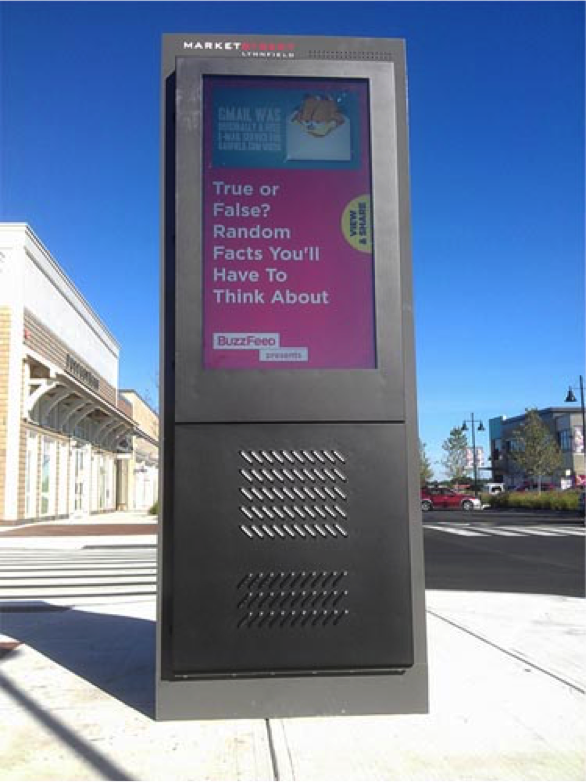 For the sake of providing a unique customer experience alone, high-brightness screens are beneficial to businesses installing digital signage in the sun. 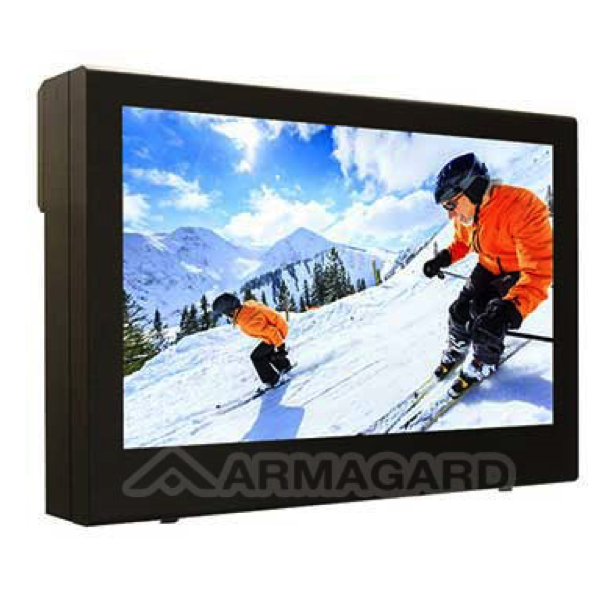 To continue your research into high-brightness digital signage, tour Armagard’s dedicated sunlight readable digital signage page. Discover more benefits of going ‘high-bright’ and the range of systems available for any business type. Got more questions about nits? We’re happy to talk to you. Give us a call on 0121 608 7226, today. This entry was posted in Digital Signage, Hardware, Tips and advice and tagged advertising, digital signage advertising, digital signage for education, digital signage for hospitality, digital signage news, digital signage software by Dynamax. Bookmark the permalink.